Monarchy research papers examine a form of government headed by a single individual, usually a king or queen (the monarch). Monarchy is a broad term that requires a custom written research paper to focus your topic on a specific type of monarchy. Constitutional monarchy - The sovereign plays a largely symbolic role as the head of state. Through human history until the 19th century, monarchy was the most common form of government around the world. 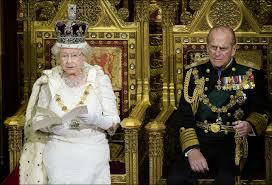 Monarchy, as a form of government, has certain advantages, including the immediate continuity of leadership. Under absolutism, the monarch rules autocratically, with the right to rule by decree. Louis XIV of France is a classic example of an absolute monarch. Some other absolute monarchs during the Enlightenment were known to be more liberal, including Frederick the Great of Prussia and Catherine the Great of Russia, who instituted social reforms. Many monarchs are also in close control of the religion of the state. The Queen of England, for example, is also the head of the Anglican Church. Some less enlightened monarchs have a tendency to promote imperial cults with the monarch being seen as the incarnation of a god, as was common in Ancient Egypt. The Stuart Dynasty is known as the Royal House of Stuart having contributed seven monarchs from Stuart lineage to rule over Scotland and England. Nicholas II - Twilight of the Empire - Lieven takes the view that Nicholas II was hemmed in from responding to the political crises the Russian monarchy and its government. Oliver Cromwell research papers examine the man that led the English Civil War against the Stuart Monarchy. The Tudor Kings and Queens - This is a sample research paper on the line of Tudor Kings and Queens from Paper Masters. Richard III - Your research paper may want to discuss the way in which Shakespeare illuminates the Monarchy in Richard III. The Yahoos and the Houyhnhnms - Gulliver's Travels mockingly challenges everything from empirical scientific inquiry to the concept of the monarchy. Henry VIII - The character of the nation was reflected in its monarchy and England was proud of both Henry VII and Henry VIII, each for different reasons. Elizabethan Era - Further bitter struggles would erupt between monarchy and parliament when the era was over. Queen Victoria - Albert all but ran the affairs of monarchy for Victoria, and his death marks a changing point in Victoria's life. Paper Masters writes custom research papers on Monarchy and examine a form of government headed by a single individual, usually a king or queen (the monarch).